Fault location and service restoration for distribution systems is done by Distribution Automation System (DAS). The authors of this guide are practitioners in Asia and they are experts in theory, technique, manufacturing, and engineering of DASs. Professors (authors of this guide) from a research institute in China, one of the top teams on distribution automation technology and testing techniques. The authors are from universities that are famous for distribution system theory investigation. Another professor/author is from Nari Corp., which is the largest manufacturing enterprise of DASs in Asia. The contents of this guide are the contributions of these authors. After long-term engineering practice, the authors realized that the simpler the DAS, the more reliable it is. Thus, the authors proposed simple modeling, analysis, and optimization approaches for DASs, with which, not only is the problem of a lack of measuring data solved, but also the decision making time is reduced. The authors also realized that the local intelligence based fault processing technologies are faster and more reliable; the distribution intelligence based fault processing technologies, such as coordination of reclosers and sectionalizers, are simple and cost effective; the centralized intelligence based DAS may locate the fault over a smaller area and restore the service in an optimized strategy, thus a complicated fault may be processed satisfactorily. Therefore, fault processing performance may be improved by coordination of the three types of fault processing technologies. The authors' experiences are the main contents of this guide, which have been applied in DAS projects in over 70 cities in Asia. The contents of this guide are organized into six Sections. 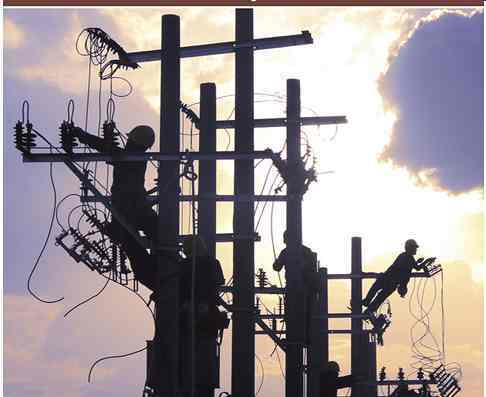 In Section 1, the progresses in fault processing for distribution grids are overviewed and the prospects are given. In Sections 2-4, the interphase short circuit fault processing technologies based on local, distributed, and centralized intelligence are described, respectively. In Section 5, the single phase to ground fault processing technologies for neutral non effective grounding distribution systems are described. In Section 6, some practical aspects of fault processing are discussed, such as coordination of various fault processing approaches, planning of terminal units in DAS, and the testing and verification of fault processing performance.